This is the perfect recipe for a cold fall day. Like today. The first day it's been around 60 degrees in Denver. It's finally feeling like sweater and boot season! Although, they say it will be almost 80 again later this week. I've never actually made a soup before but it was surprisingly easy. Preheat your oven to 350 degrees. 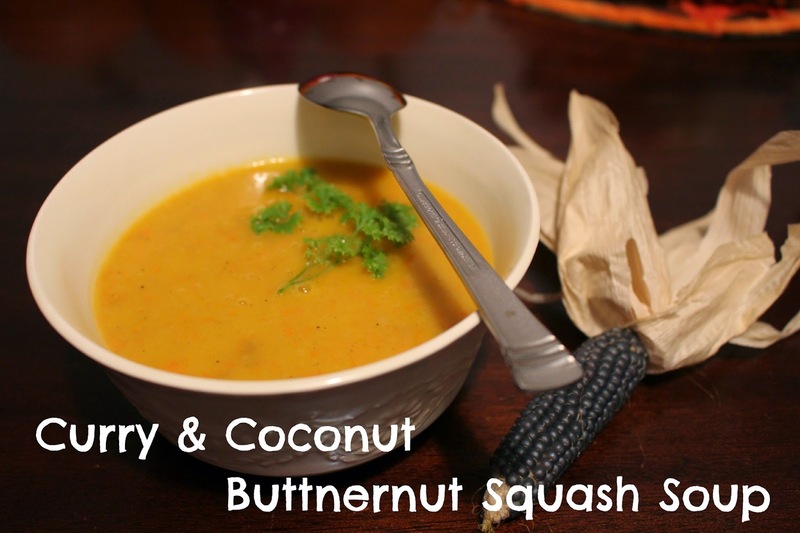 Cut the butternut squash in half lengthwise and remove the seeds with a spoon. Drizzle 1 tablespoon of olive oil and sprinkle one teaspoon of salt on the halves of the butternut squash. Place them cut side down on a cookie sheet and roast for 30-45 minutes. After the squash is done let it cool while you saute 1 tablespoon olive oil, 1 teaspoon salt, carrots, and onions to a soup pot. 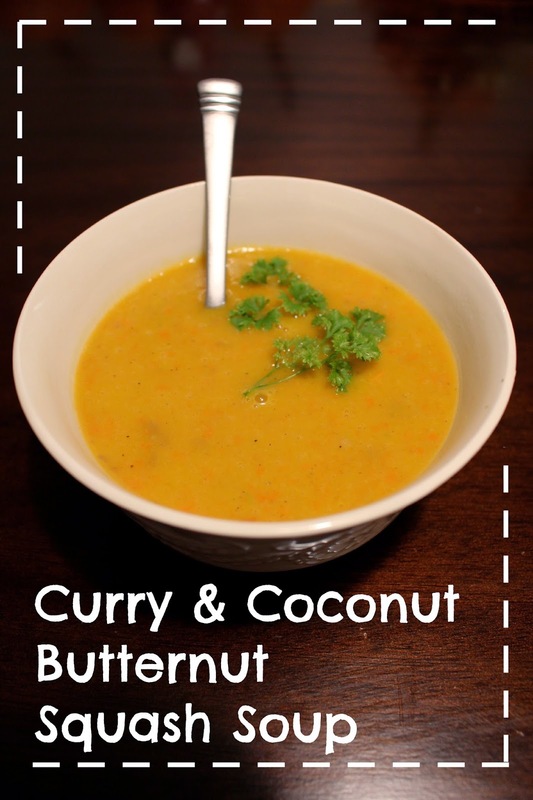 Then add the coconut milk, vegetable stock, curry, garam masala, cumin. Next add the butternut squash. Having never made soup with a butternut squash before I looked this part up. Yes, you can just cube the squash and add it with the skin to the soup. If you prefer you can use a vegetable peeler or knife to cut around the skin. Bring the pot to a boil then let it simmer for about 15 - 20 minutes. While you're waiting, occasionally mash the squash with a wooden spoon. This is when the soup smells absolutely delicious! After the 15 minutes use a blender to smooth the soup.